Now, I may not have built a writing empire quite yet, but I’ve got to say that the humble librarian has been so helpful to me on this quest. You may not want to build a writing empire, but have your own dreams…how can the librarian assist you to reach that goal? This is a small tribute to them. 1. Ignore the stereotypes about a librarian. (Aren’t all stereotypes pretty useless anyway?) You know – dowdy, mainly female, mousey hair scraped back in a bun, glaring at you over the rim of her spectacles, constantly telling those in the library to Shhhh!! These days librarians can be hip and cool, male or female (and in between! ), young or old, of various ethnicities…each up to date with the latest information technology. I find them helpful, knowledgeable, as well as interested in my projects as a writer. After all, you can bet they love books, so most librarians go out of their way to assist. 2. Give them some time. You can’t build Rome in a day, so call them or visit them, and explain what you task or research or area of interest is, and often they can come up with sound advice and ideas. 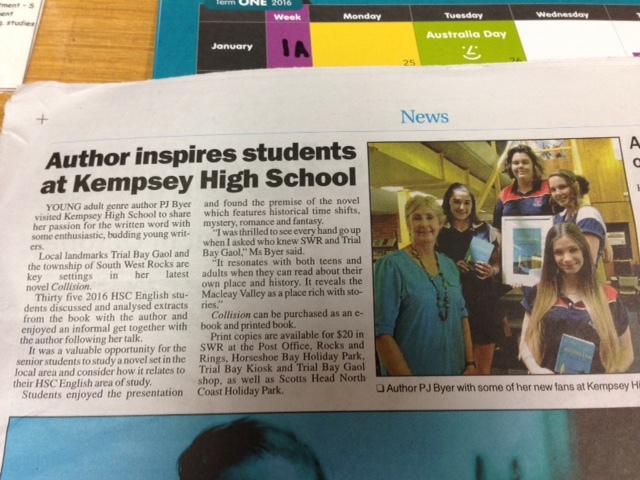 For example, I rang Kempsey High and spoke to the librarian Linda Sneddon about a school author visit. The next week, she returned my call with several ideas to fit in with my movements in the Macleay Valley(where Collision is set) as well as what would be most relevant to their students. Here is a photo and article about it in this week’s Argus. 3. It’s FREE! Librarians work in libraries which are set up for US, for the community! As well, they’re air conditioned, have comfy seating and private nooks. Some of the modern ones have really cool designs and decor as well. I particularly like Erina Library, NSW as well as Lane Cove Public Library, NSW. And of course there’s the beautiful Mitchell library, Sydney NSW – timber panelled and light filled, with a cathedral like lofty ceiling. 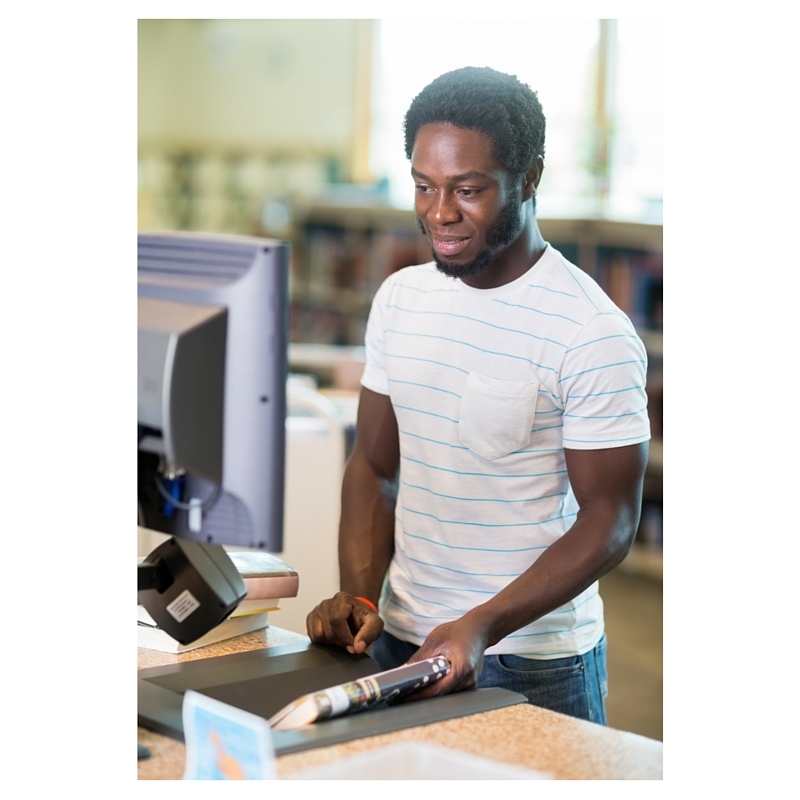 In these spaces are heaps of resources, reference material, online content as well as being able to borrow books, ebooks, magazine, CDs and films. So don’t spend a fortune building your empire. Use what’s available in the public domain. 4. Librarians are experts in their field, and may come up with something you haven’t thought of. It happened to me. 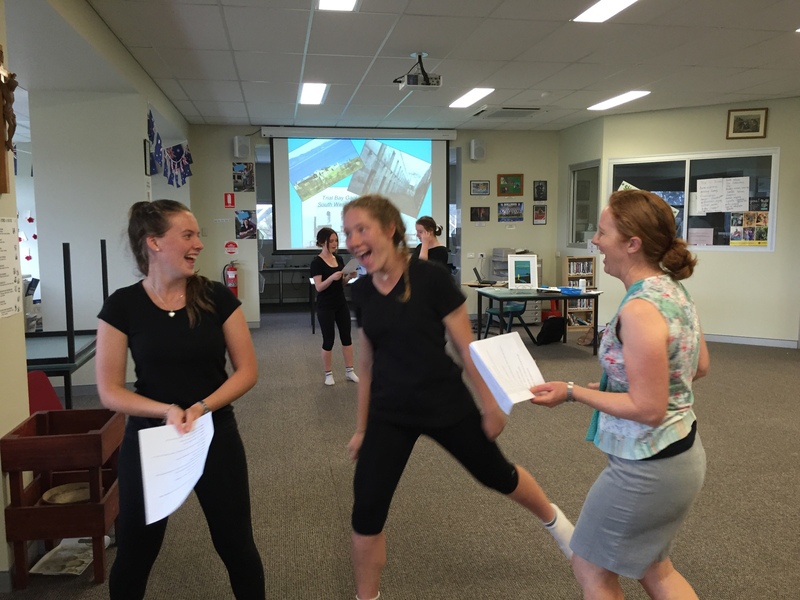 The librarian Peter Garty at St Paul’s College at West Kempsey came up with an added idea of a drama workshop based around my book. I was quite nervous about how this might go, even though I’m a trained drama teacher. How would my book convert into dialogue for two, three or more students? I needn’t have worried. The students were so enthusiastic, and even knowing little about the content, launched into acting out scenes I’d typed from the book. It was a thrill to see their interpretations, and hear the character voices come alive. 5. Empires as cash cows. Well, I haven’t made a fortune from my book (yet!) but I’m doing something I love. I don’t think librarians make mountains of moolah either, but hopefully they too are doing something that they think is valuable and of service to the community. So, a big thank you to librarians! Now, what do you think?